Despite demonstrated armed capabilities and an established stronghold in Iraq and Syria, the Islamic State or ISIS is still having a hard time dealing with resistant groups—among them are factions of battle-hardened warriors commonly known as the Kurdistan fighters. 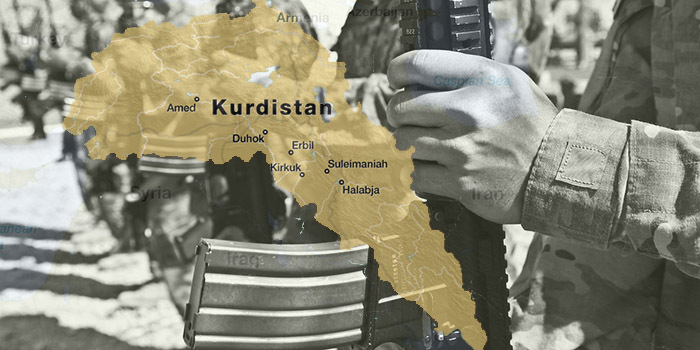 Who are the Kurdistan fighters? Despite shared ethnicity and geopolitical identity, it would be difficult to categorise them under one collective label. These fighters come from different political parties and guerrilla groups in Iraqi Kurdistan and Syrian Kurdistan that have been carrying out armed campaigns to establish or maintain autonomy. Of course, as a backgrounder, the Kurds are an ethnic group in the Middle East inhabiting established and pronounced territories in southern Turkey or Northern Kurdistan, western Iran or Eastern Kurdistan, northern Iraq or Southern Kurdistan, and northern Syria or Western Kurdistan. Collectively, these territories form the roughly defined geographical and cultural region of Kurdistan. Emerging from this region are several factions, each representing the plight of the Kurds. The Peshmerga of the Iraqi Kurdistan are worth mentioning. Since the region established its autonomy from the central Iraqi government in 1970 and further promoted such in the early 1990s, the Peshmerga have become the military forces of the Kurdistan Regional Government. According to BBC, these armed forces trace their roots backed from the loosely organised tribal border guards in the late 1800s. The collapse of the Ottoman Empire in 1923 paved the way for their formal organisation as the official armed group of the Kurdish people. Furthermore, the growth of the Kurdish nationalist movement resulted in the further establishment of the Peshmerga identity. Veteran fighters constitute the modern Peshmerga forces. They have gained extensive battleground experience from fighting against military forces from the Iraqi government spearheaded by Saddam Hussein. They have also been working with the American government, especially with the Central Intelligence Agency and U.S. Armed Forcers, to carry out armed operations against common adversaries. Accordingly, they were instrumental in toppling Saddam. However, apart from the Peshmerga and the Kurdistan Regional Government, the Kurdistan Workers’ Party or PKK is another guerrilla group that has also been actively promoting Kurdish autonomy in Iraq and Turkey. The PKK is a Kurdish libertarian socialist organisation founded in 1978 to promote self-determination and a Marxist-Leninist state in Turkish Kurdistan. According to the narrative account of Joey L, a New York Based photographer who visited Kurdistan to document the on-going armed campaign of Kurdistan fighters against ISIS, the PKK has been branded as a terrorist organisation. However, the group has asserted that their position has evolved from being a separatist movement to an ideological faction promoting democratic values in the region. Joey L mentioned that PKK remains distinctive from the Peshmerga in terms of armed capabilities because they merely fight with light weapons as opposed to the better weaponry and vehicles of their counterpart. In addition, it is also important to note that the Peshmerga are financed by the Kurdistan Regional Government. Their collaboration with coalition forces also gives them better access to critical resources. Apart from the Peshmerga and PKK from Iraqi Kurdistan, the Kurds in Syria have also formed guerrilla groups to promote the autonomy of Rojava—the de facto autonomous region of Syrian Kurdistan. The establishment of autonomy has also been an on-going plight since the dissolution of the Ottoman Empire but the Kurds in the region only gained momentum during the Syrian Civil War in 2011. At the onset of this internal armed conflict, the Kurdish Democratic Union Party formed the People’s Protection Units or YPG to serve as a defensive armed force against any groups, including forces from the Syrian government, that would attempt to control Kurdish territories. But the YPG is not the only armed force in Syrian Kurdistan. The Women’s Protection Units or YPJ is an all-female parallel group operating and fighting alongside YPG. Formed in 2012, the group aims to advance the position of women in the Kurdish society and attend to their special needs. Together, the YPG and YPJ bolster the armed capabilities of the Kurdish Democratic Union Party. With the growing influence of ISIS and their control of large territories, the Peshmerga, the Kurdistan Workers’ Party, the People’s Protection Unit, and the Women’s Protection Units collectively form the Kurdistan fighters in Iraq and Syria. Despite lose organisation, these Kurdistan fighters have the shared responsibility of promoting the autonomy of the Kurdistan and a common goal of quelling external threats, including the ISIS. They represent the Kurdish resistance toward oppressive regimes or factions, including ISIS. Nonetheless, the battleground experiences of the Peshmerga and the support they are receiving from the international community make them a formidable force against ISIS. The addition of PKK in the picture makes total control of Iraq almost impossible. In Syria, both YPG and YPJ are extensively improving their armed capabilities. Due to the situation with ISIS, residents of Rojava between 18 to 30 years of age are required to render six months of military service. The groups are also welcoming the influx of volunteer fighters from other areas in Kurdistan, especially in Turkey, Iraq, and Iran. It is also important to note that both YPG and YPJ are well known for having volunteers coming from the United Kingdom, the United States, Germany, and Canada, among others. The inclusion of female fighters among their ranks is also a social and political statement directed toward an adversary known for limiting and abusing women. Further details of the BBC feature story are in the article “Profile: Who are the Peshmerga?” Further details of the narrative account of Joey L are in his blog article “Guerrilla fighters of Kurdistan” and his article “Among the warriors: Extraordinary photos portray the lives of the Kurdish volunteers resisting Isis in Syria and Iraq” published by The Independent.